On January 16, Regional Council approved Halton’s 2019 Budget and Business Plan, which ensures top value for taxpayer dollars as we prepare our strategic plan for this term of Council. The Budget is based on prudent, forward-looking financial planning principles that help preserve Halton’s strong long-term financial position. It also leverages our top credit rating, which helps us finance major investments by providing continued access to the best capital financing rates available. Water and Wastewater State-of-Good-Repair Capital Program: $7.7 million increase in funding to support the water and wastewater state-of-good repair capital program. Transportation State-of-Good-Repair Capital Program: $1.9 million increase in funding to support Regional roads. Paramedic Services: $827,000 to provide additional resources to address call volume pressures. Road maintenance: $677,000 increase in road maintenance contracts to address growth in the Regional road network. Red Light Cameras: $100,000 for three new red light cameras in 2019, bring the total number of cameras to 20. Relief staff resources: $431,000 for additional relief resources to maintain service levels in Paramedic Services and Services for Seniors. The Budget also fulfills Council’s objective to keep property taxes low—it includes a 1.9 per cent increase for Regional services and a 3.7 per cent rate increase for water and wastewater services. It continues our 12-year track record of keeping property tax increases at or below the rate of inflation to help individuals, families and businesses succeed in Halton. By supporting services and infrastructure to maintain a high quality of life, the 2019 Budget and Business Plan will help us keep Halton a great place to live, work, raise a family and retire. To learn more, please visit halton.ca. ReThink Water: Enjoy. Conserve. Protect. Halton Region provides residents with access to safe, high-quality drinking water 24 hours a day, 7 days a week. Halton has 12 water treatment plants across the region that provide over 500,000 residents with 62 billion litres of drinking water each year. This water is carefully monitored and tested to ensure it is safe when it reaches your home, school or business. As our population continues to grow, Halton Region is investing in upgrades and expansions to our water systems and treatment facilities to ensure water is available whenever you need it. Some Halton residents rely on private wells as their primary source of drinking water. If you are one of these households, remember to test your water at least three times per year. Halton makes it easy by providing free well water sample bottles and convenient sample drop off depots across the region. For more information, visit halton.ca/wellwater. Protect source water and Regional infrastructure by putting waste in its place. Please do not put household hazardous waste, personal care items or pharmaceuticals down the drain or in rivers, lakes or streams. Visit halton.ca/putwasteinitsplace to use our online tool to find out how to properly dispose of your waste. Halton Region’s annual rain barrel sale is back for another year. ReThink water and purchase a rain barrel at one of our sale events. Visit halton.ca/rainbarrels for dates and locations. Water quality and reliability will always be a top priority for Halton Region. Together, we can ensure water is safe and available for the over 200,000 households and businesses across the region and keep Halton a great place to live, work, raise a family and retire. To learn more about how Halton is providing reliable and safe drinking water and what you can do, visit halton.ca/rethinkwater. Halton Region is committed to the health and safety of our residents by investing in quality infrastructure. The expansion and upgrade of the Skyway Wastewater Treatment Plant will enable us to continue to further enhance the protection of the natural environment. In celebration of the grand opening of the plant, MP Karina Gould and MPP Eleanor McMahon joined us on November 7 to tour the state-of-the-art tertiary building and to see the plant upgrades in person. At a cost of almost $160 million, the Skyway Wastewater Treatment Plant expansion is the largest capital project undertaken to date by Halton Region. Funding for this project was provided by all three levels of government – the Government of Canada, the Province of Ontario and Halton Region – as part of the Green Infrastructure Fund. Regional Council was instrumental in advocating the funding for this project, which resulted in the single largest investment in municipal infrastructure by the federal and provincial governments in Halton Region’s almost 40-year history. We are very excited to say that plant upgrades and expansions are now complete. manage increased water flows during storms and extreme weather. Although the Skyway Wastewater Treatment Plant expansion has been Halton’s largest capital project to date, we are maintaining, upgrading and expanding the wastewater collection and treatment system across Halton Region, as part of the Building a Better Halton initiative. High quality infrastructure projects, including the Skyway Plant expansion, are one of the reasons Halton is such a great place to live, work, raise a family and retire. Halton is committed to providing residents and visitors with safe, high-quality drinking water to enjoy and use. We encourage people to ReThink Water through efforts to protect our natural environment and make water conservation a part of their everyday lives. As part of region-wide water conservation efforts, starting Saturday, May 7, we will once again be offering rain barrels for sale at events throughout Halton. Using rain barrels diverts water from your home’s downspout and catches it for use on gardens and potted plants. Using the water from one full rain barrel saves 240L of water, which is more than the average Halton resident uses in one day. Rain barrels are available for purchase either in person at the truckload sales events or online directly at any time. Barrels are $45 each, including tax. Proof of Halton residence will be required. To learn more about Halton’s water services and programs, rain barrel sales program and tips on water conservation, please visit halton.ca/water. By working together we can make a difference and ensure Halton remains a great and sustainable place to live, work, raise a family and retire. Halton is proud to provide our residents with access to high-quality tap water. The Region has a variety of programs and services in place to help protect and conserve our water resources and ensure that water is safe when it reaches your home, school or business. Our water purification plants, source water protection plans and well water monitoring programs monitor the quality and provide protection of Halton’s drinking water systems 365 days a year. Initiatives like the toilet rebate program, the annual rain barrel truckload sales and the Household Guide to Water Efficiency help engage residents in water conservation to ensure the community can enjoy a safe reliable supply of tap water both now and in the future. This summer, residents are asked to ReThink Water and make water efficiency an important part of your daily life. With the arrival of warmer weather, be mindful of your outdoor water use to ensure there is always sufficient water supply for essential use and emergency services like firefighting. Car washing and watering of trees, shrubs and gardens is allowed. Although level one is voluntary, resident cooperation to reduce regular outdoor water use is important. Watering of trees, shrubs and gardens should be done using a hand-held device such as a watering can. No outdoor lawn watering or car washing is permitted in order to conserve water for emergency and essential services. Watering of trees, shrubs and gardens can be done using a hand-held device following the odd/even watering rule. Halton Region is committed to working together with our residents and community partners to protect our natural resources to ensure we can meet our needs today and in the future. This summer, re-think your water use by using it as wisely and efficiently as possible. If you would like to learn more about Halton’s water, tips on how to conserve, or to check the current water restriction level, please visit halton.ca/water or dial 311. Happy Holidays from Halton Region! 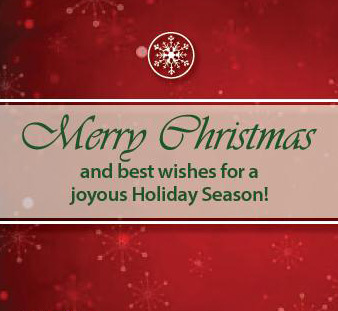 On behalf of Regional Council and staff, I wish you a Merry Christmas, a happy New Year and a wonderful holiday season! December is one of my favourite months. It’s the time of year to get together with family and friends, celebrate the season, give back to our community and be thankful for all we have. If you are staying in town, there is so much to do around Halton. Take the opportunity to discover Halton and experience the things that make it such a great place to live, work, raise a family and retire. Over the holidays, all essential services and Halton Region facilities will remain available, including water and wastewater services, waste collection, road operations, public health, paramedic services and social and community services. Some public facilities will be closed during the holidays. For more information about holiday hours at our public facilities, visit halton.ca/closures. If you require assistance with a Regional service during the holidays dial 311, visit halton.ca, or submit a service request at halton.ca/311. May this season bring peace, prosperity and joy to you and your loved ones. From my family to yours, I wish you a Merry Christmas and a Happy New Year! As always, if you have any Regional concerns or comments you would like to share, please feel free to email me at gary.carr@halton.ca. You can also find me on Twitter @garycarrhalton or on Facebook. Water consumption can double over the summer months due to the increase in seasonal activities such as lawn watering and car washing. While Halton Region considers sustainability in all we do, we can’t do it alone. This summer think twice before turning on your hose in order to reduce your outdoor water use. By following some simple tips you can make a big difference in the amount of water used across the Region this summer. Adjust your sprinklers so only your lawn is watered and not the house, sidewalk or street. Minimize evaporation by watering during the early morning hours, when temperatures are cooler and winds are lighter. Adjust your lawn mower to a higher setting. Longer grass shades root systems and holds soil moisture better than a closely clipped lawn. Install a rain shut-off device on your automatic sprinklers to eliminate unnecessary watering. Use a broom to sweep your driveway instead of washing it with your hose. Voluntary odd/even lawn watering between 6 a.m. – 9 a.m. & 6 p.m. – 9 p.m.
Use a hand-held device such as a watering can.to water trees, shrubs and gardens. For more tips on how to reduce your outdoor water use and to sign up to receive an email alert when water restrictions are in effect visit halton.ca/savewater. Working together, we can meet our water needs today and tomorrow and keep Halton a great place to live, work, raise a family and retire.